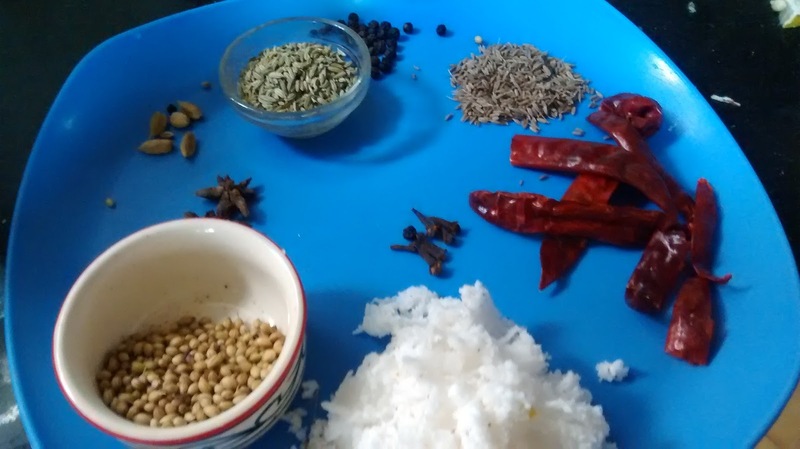 There can be many variations of this recipe ,depending on the spice level . 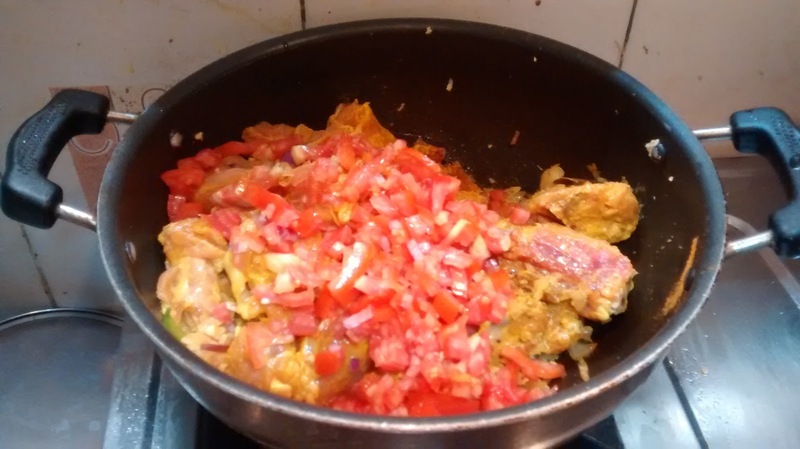 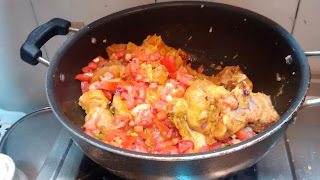 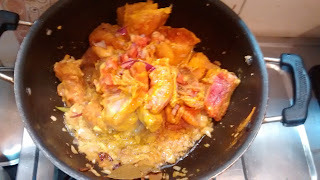 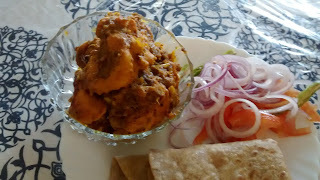 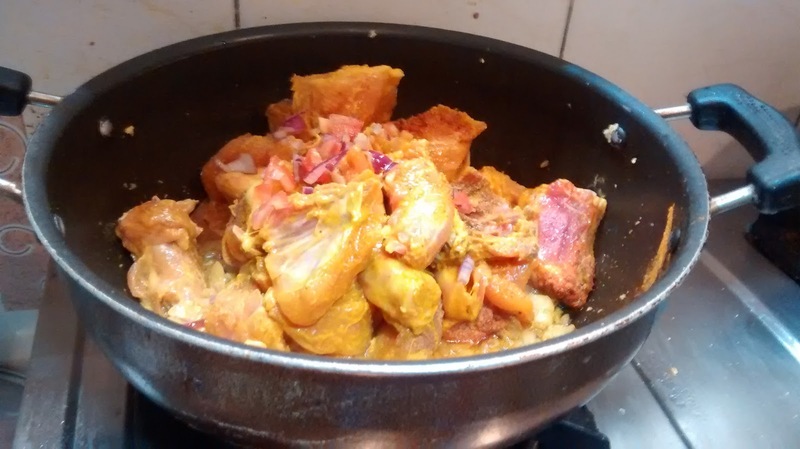 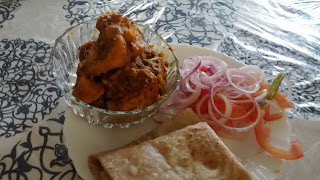 The recipe that I am sharing today is milder version of the original one to suit all taste buds . 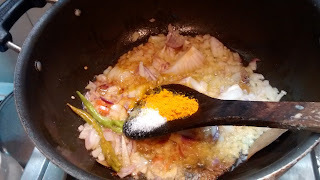 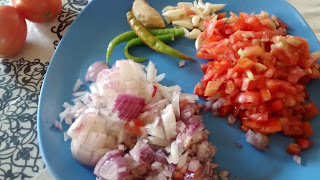 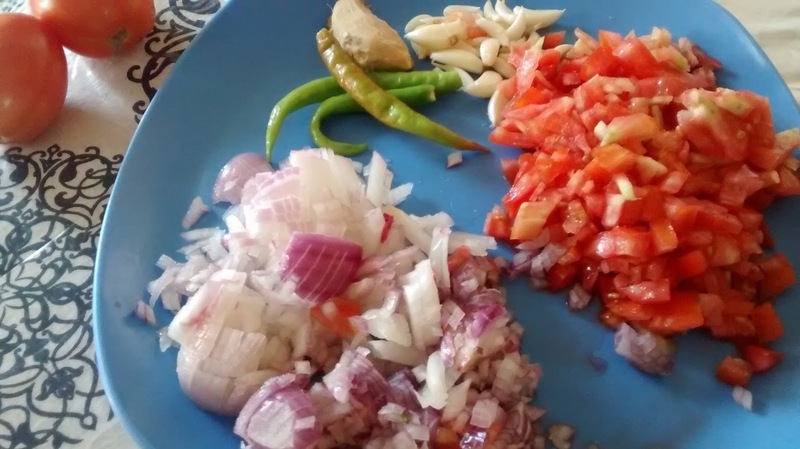 fry the onions,green chilies , ginger-garlic paste in salt and turmeric till raw smell is gone. 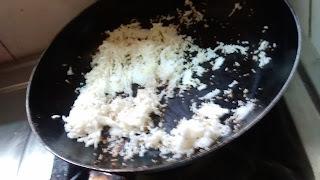 In a separate pan,dry roast coconut for 1 minute and remove . Dry roast the rest of the spices . Add the powder to the chicken in the pan . Roast well and then add water, simmer for sometime. 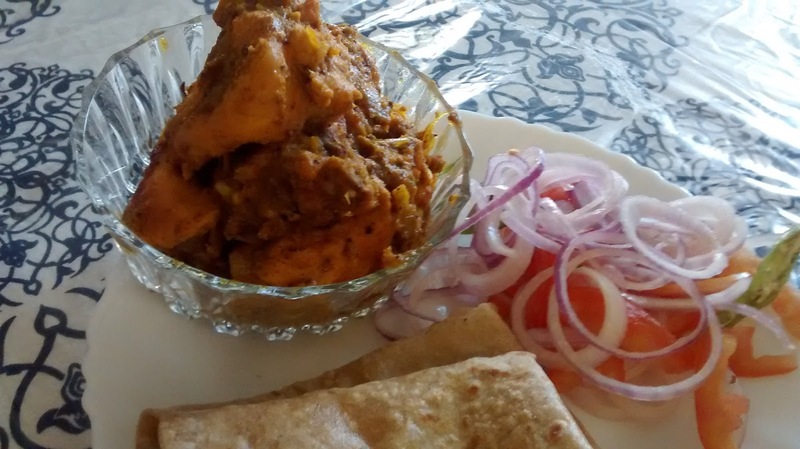 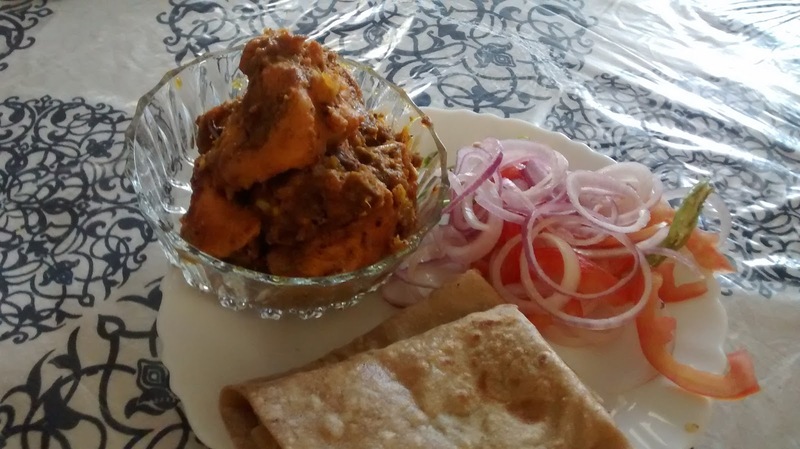 Serve with Chapati ,paratha or steamed rice .